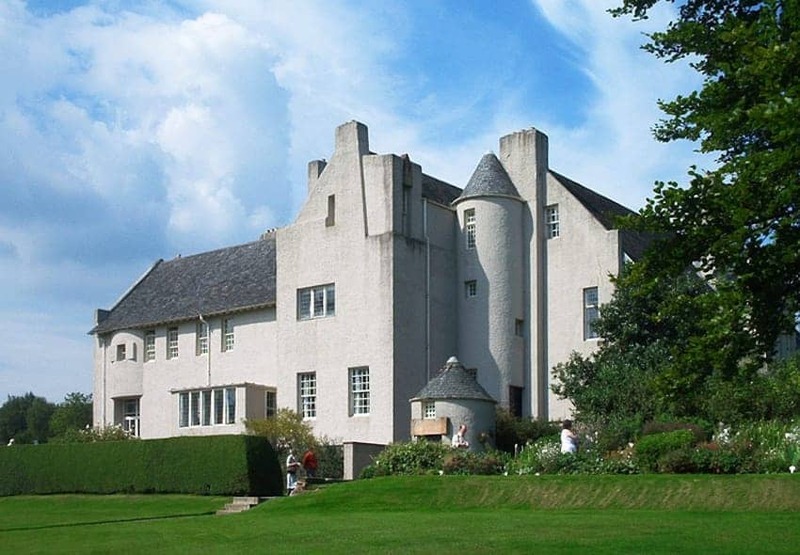 Hill House in Helensburgh, Scotland is one of Charles Rennie Mackintosh's most famous works. It was designed and built in 1902. Mackintosh designed most of the interiors and furniture as well as the exterior. In fact he allowed the functional needs of the house to determine the design. The asymmetrical construction forms different roof levels and shapes, with the exterior contour evolving from the interior planning. The minimalist, uniform and grey exterior of the building blends in with the cold cloudy sky of Scotland while the interior is nearly the opposite, being warm, exotic and smooth.